Santo Domingo.- The Coordinator for Lower Fuel Prices and the People’s Rights on Thurs. reiterated that cooking gas should cost no higher than RD$65.00 per gallon. 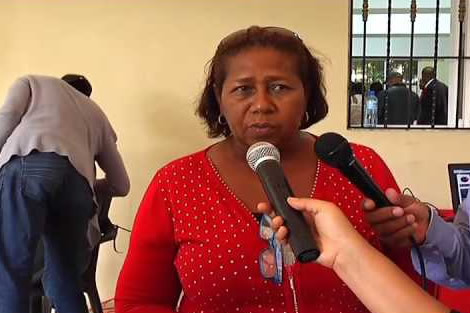 In a picket with pots and pans in front of the Industry and Commerce Ministry group spokesperson Socorro Monegro also said that premium gasoline should cost RD$165.00; regular RD$160.00 and diesel between RD$95.0 and RD$102.00 per gallon. She blamed a “mafia” for the high fuel prices. Monegro also announced an assembly next Saturday to decide on the actions to take during the strike set for Nov. 27.